When you want your business's façade to look as unique and sophisticated as the products you offer inside, no boring commercial internally lit sign light will do. To showcase your one of a kind custom made or hand painted signage you need our domed shade gooseneck lighting. Only these elegant and fashionable features can truly do justice to your business's persona, especially in trendy neighborhoods and upscale pedestrian malls. Each exterior gooseneck light features a long, slender arm (available in multiple arm configurations), and a sleek modern domed shade. This cup-shaped shade gives the fixture a contemporary, hip look while also successfully focusing a bright pool of light on your sign, or wherever you choose to aim it. These domed lights are a lovely way to give your façade a fresh new look, adding instant curb appeal and bringing your storefront up to date. And of course, the practical advantage is that they shine much needed light on your business after the sun has gone down, making you more noticeable while also making your patrons feel safer. More than just sign lighting, these gooseneck lights are also a good way to illuminate doorways, awnings, outdoor dining areas and patios, sidewalk displays, and statuary. Two-dozen paint color options are available to help you match these lights to your current outdoor décor. Choose from premium paint colors, metallic finishes, and real metal coatings. Each of these gooseneck lights includes a 4" wall mounting plate, designed to be installed with most standard round or octagonal junction boxes. The domed shade (painted white on the inside unless otherwise specified) is rated for standard incandescent bulbs up to 200-watts. 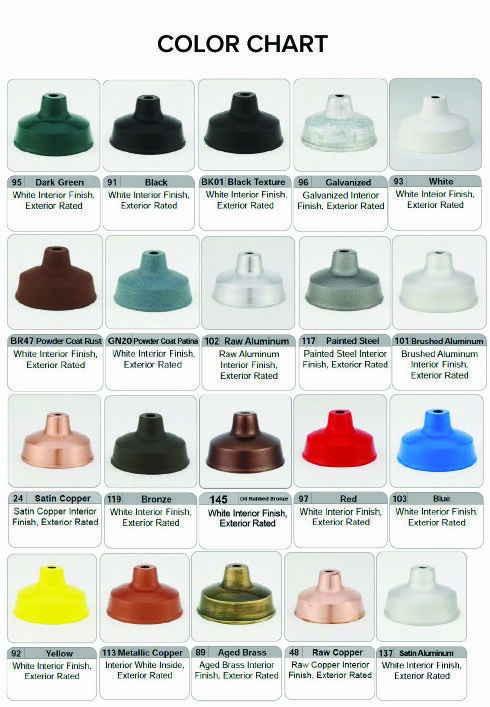 These fixtures are UL listed for outdoor use. For different lamping options, alternate arm configurations, and swivel options call customer service to discuss your outdoor lighting needs.